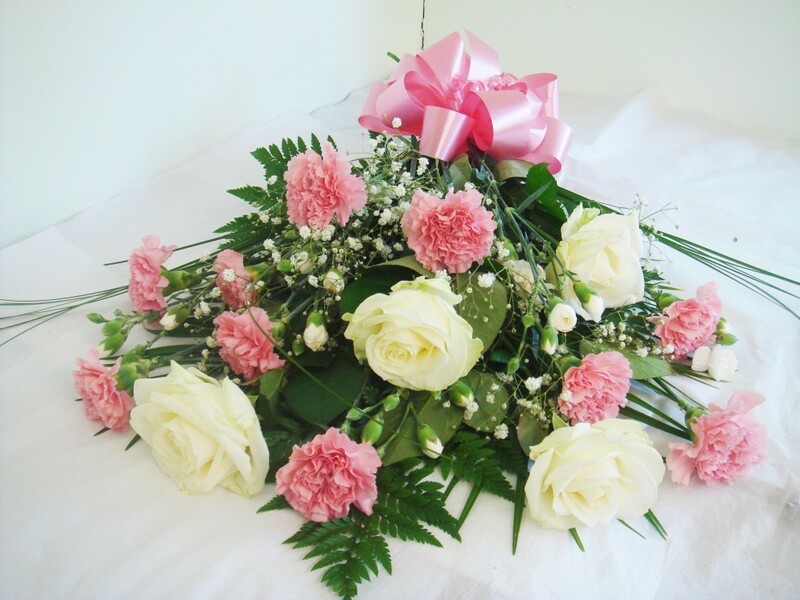 The Elegance bouquet is a stunning selection in Pink and Cream flowers, which are suitable for any occcasion. A gorgeous selection of Long stemmed Roses and popular Carnations are perfect partners in this bouquet, together with Gypsophilia and complementary foliage which makes this a truly elegant floral display which will brighten anyone's day. These beautiful blooms are freshly delivered daily from the auctions in the Netherlands, so you can be rest assured you are sending the best quality flowers there is. The flowers will be gift wrapped in colour co-ordinating tissue paper and patterned cellophane finished with a large ribbon bow. Together with the flower food to ensure longer life and your personal card message, this is the complete package which will sure to be admired by all! This gift wrapped bouquet is a guaranteed to be a very much welcomed gift and will look stuning in any room of the home.